The Pursuits are great boats! They were on my target list when I was looking. My Proline fell into my lap at a price that I couldn't walk away from. I don't feel that I settled at all as it was also on my target list and has given me years of good times. I generally fish from Algoma to Washington Island. I tend to lean towards Gills Rock & Baileys. I find that with the structure and relative protection from the elements (wind) we always find a place to fish. The structure also offers some very unique spots on spots with the currents creating underwater eddies around the islands and deaths door. What ports do fish out of? Is there a question whats up? I have the 201 W/A. I am absolutely happy with the performance.....confident in fishing bigger seas (up to 6-7 footers). This is not a comfortable expierence in that it's tough to keep footing while standing in the back, however the boat itself handles it VERY nicely. Last year dad was forced off the lake in his 2025 Pro V after taking 2 over the bow (one after the other). While we stayed and took our 2 man limit in pretty short order. I am sure the boat will handle much more than I'm willing to.....just never pushed my luck. That trip proved that a good big water hull will make a difference. Are you looking at the Prolines? I have been on p4 since late Feb 2-3 times a month. Pretty good year but no HOGS this year for me. Haven't been there for a week and a half. Probly wont go back till fall. I am hitting Mille Lacs for opener and its pretty much ML or Superior till deer hunting. We had our fish house at Hunters Point last year but moved it to Wilderness Warmth on the SW. Not sure if I will be on the N end or try to stay south??? Here is my favorite spoon for the past 3 years. It is a Uninion spoon, silver with a Green Strip. For 3 years prior to that a magnum purple Pro King spoon with glow was my #1 spoon. I cannot explain why a change in size and color of spoon or glow would create such a contrast in results. But this are the results when using both spoons at the same time. Purchased from Capt Jerry @ Algoma Hardware. 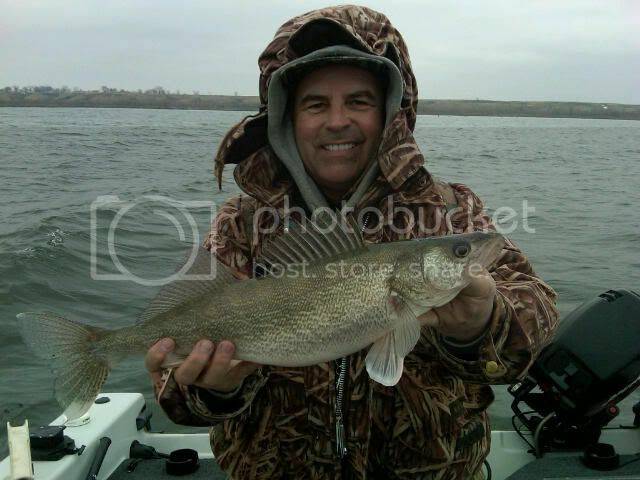 I just got back from the Missouri River and walleye fishing. It was very cold, but we did catch lots of nice fish. Plan to return as soon as we can. It may be better to email me: walleyescot@aol.com than send private message. Today I was in truck for 8 hours and could not respond until now. I can send email from my blackberry. Where we fish depends on the time of year. 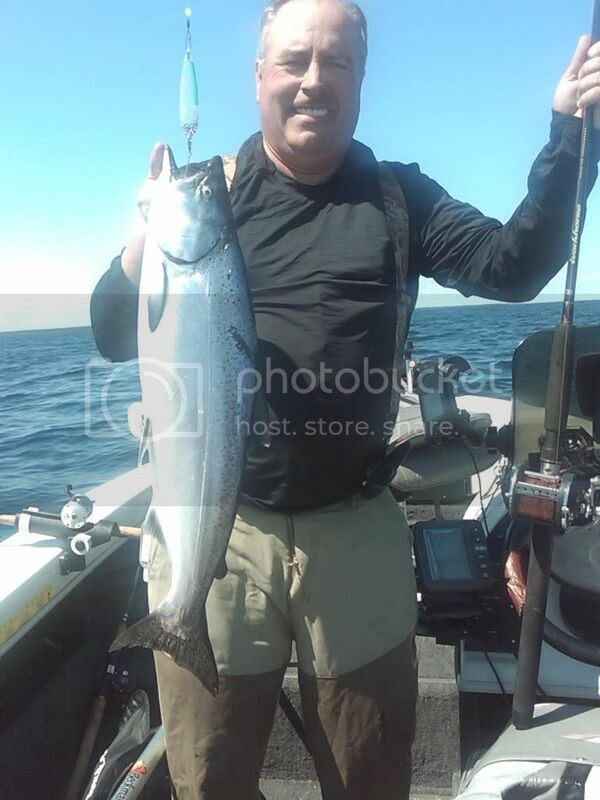 In the spring I typically fish the south shore anywhere between Superior entry and the Brule. The mud from the spring run off can really mess things up so that's usually a major factor. Come summer, I'm usually somwhere out on the state line fishing the WI side. I'll also fish the north shore every now and then, but I usually have a small crew (sometimes even solo) and the MN 2 line rule tends keep me in WI waters more often than not.